$200 Instant Rebate until January 5th! 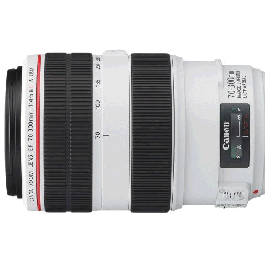 Canon would not be Canon without these white-barreled lenses! With this new 70-300mm f/4-5.6L IS USM lens, you get both Canon's signature Image Stabilization and Ultrasonic Motor features, which together ensure clearer images and effortless autofocusing. This lens is sharp beyond expectations, has super fast focusing, is compact for the focal length, and is very sturdy. 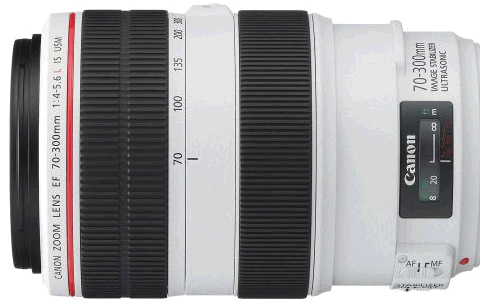 Bottom line is this lens can do the job you would have done with either the 100-400mm L lens or even the 70-200mm L f/4 IS lens because with higher ISOs, faster shutter speeds aren't as crucial anymore.